Tim Tebow's loose spiral and sporting spirit have been shipped to New England, but outside of that, who really knows what this means? In truth, few saw this coming. And yet, the Patriots may have been planning the move for weeks. That he was sitting on the sideline unemployed apparently proved too tempting for the team's coach Bill Belichick, who in this scenario is a little like Adam and Eve tempted by the serpent. Ironically, the once almighty Tebow had become a forbidden fruit around the league, before the Pats swooped in this month. You could argue, in fact, that his stay in New York marked the end, where minimal opportunity was afforded the quarterback in a farcical situation which amounted to nothing more than a PR stunt. In short, the Jets signed the man but acquired the mania, something they always seem to crave. At any rate, Belichick is not one to dwell on past sins. He's been down this road many times, yielding both success and failure, trial and tribulation. Though never repentance - not even with the likes of Albert Haynesworth. This might be his most ernest Hail Mary of all. As football fans, we thought Tebow might at least be a good "wildcat" option in New York, where it was expected the Jets would consider his versatility and size, and send him steaming from the backfield. In theory, Tebow was ideal for the club, where, as the back-up QB, he might have been inserted into the fray to pick up short yardage, or perhaps torment the opposition with some of the trickery the wildcat attack is known for. Now the sport's insiders are forecasting Tebow in all manner of situations - be they wild, cat-like or a hybrid of the two. The NFL Network's Rich Eisen tweeted that it makes little sense Tebow play as just a QB. CBS Sports' Mike Freeman tweeted that Tebow won't only study tight-end but also quarterback. ESPN's Chris Mortensen tweeted that Tebow will be a third string signal-caller. (In case you were wondering, I tweeted nothing, because like most fans, I have no idea what the heck Tebow will be doing in New England, outside of genuflecting and high-fiving). But I do think about the wildcat, or at least variations of that type of offense. It is made for television football, just like Tebow. Tebow and the wildcat together might be like John Hamm and dark suits. This should have already been in syndication in New York. Just as the Miami Dolphins famously employed it in 2008, quarterback Mark Sanchez could have regularly split wide, while a second runner positioned himself in the backfield. 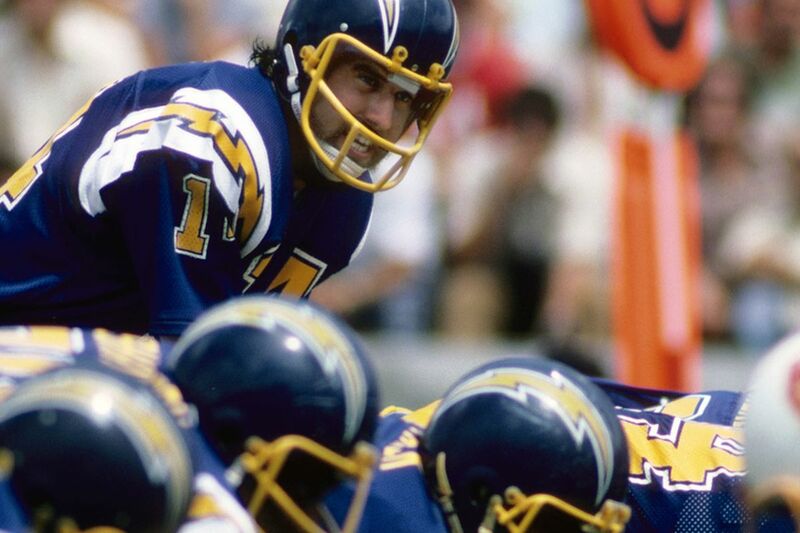 Then, as a man swept behind the line, the ball might have been snapped into the hands of an enterprising Tebow, and New York football would have lit up again like Broadway Joe Namath. Tebow in lights, that's what we all envisaged, right? Well, there's still a chance of this, I guess. The wildcat has transitioned to the read option offense of late, where players like the Washington Redskins' Robert Griffin III and the Seattle Seahawks' Russell Wilson are reading defenses and choosing an appropriate option. 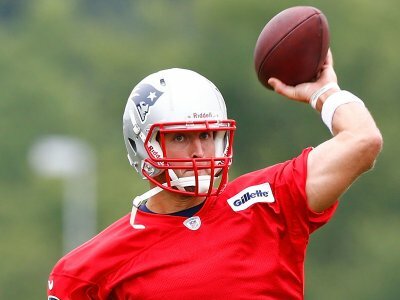 Presuming Belichick isn't grooming Tebow to play fulltime quarterback behind the game's best signal-caller, Tom Brady - as many writers and commentators are suggesting - option play might be Tebow’s niche in New England. After all, Tebow is a tank of a man at 6-foot-three and 236 pounds (the NFL's scariest runner is Adrian Peterson is 217 pounds). Given the chance to bamboozle defenders using New England’s vast arsenal, Tebow might seize the day. If there was ever an athlete who could be an effective football player without a positional label, it is No.15 – soon to No.5 in his new uniform. Working against this is clipboard pretence. Pro football's most prominent talking heads seem enamoured with the idea that modern football requires every player to be a specialist. How often do we hear about the intricacies of elaborate assignments, the complexities of playbooks, and that a generalist just can’t cope? Tebow is the case study here. It may well be true that the highest level of football calls for the focus of a fundamental skill, such as blocking, or running through gaps, or, as it is in Tebow’s case, accurate forward passing. But at the end of the day, aren't self-belief, being hard to tackle and having incredible diligence all skills? Working in favor of the idea is Tebow’s prior professional success. Like the backs of a former era, Tebow is less conceptual in his approach to football: he sees a hole and he darts through it. He watches a defense lean one way, and heads the other. He's also less reliant on schemes and formations than is given credit for. He's the game's equivalent of Larry David: set up the scene and he'll take it from there. We saw him do this in Denver in 2011. Tebow ran numerous option plays as the Broncos quarterback with Willis McGahee as running back, where together they amassed hundreds of yards on the ground in a short time. Denver played the option almost exclusively in the fourth quarter of their 38-24 win over the Oakland Raiders. They used it again a week later in a 17-10 unseating of the Kansas City Chiefs. But most notably, in an overtime win over the San Diego Chargers, Tebow set an NFL record 22 rushing attempts by a quarterback in one game, using the option. His 67 yards rushing and 143 passing that day, boasted a mastery of the strategy that was unprecedented at the professional level. For all the so-called gimmicks and gadgets that teams should employ for a player like Tebow, its the player himself who most often makes something happen. That's Tebow's forte - interpretation. Certainly, running backs or half-backs, or "wild" backs need blocking and unbalanced formations, and the potential of several outlets or escape hatches, but they also dictate outcomes using their supreme speed, strength and vision. And in Tebow's case, an unparalleled will to succeed is undoubtedly a factor too. In this regard, Tebow’s runs, especially those late in the Denver campaign two seasons ago, appear to be the work of divine intervention. So, yes, the Pats will need to think through some options. They'll benefit from plays specific to Tebow's repertoire, and to pinpoint instances in which he can bowl through, around, or over obstacles. But it'll be his thunderous running, and elusiveness, that'll make those plays work. And whether the defense suspects it or not, Tebow won't be denied yards. He'll additionally confuse defenders and inspire audiences simply by being on the field. He'll whip up lot of noise, both literally and metaphorically, even if just for a handful of plays. Okay, we don't know exactly what Belichick will do with Tebow, so what do we know? We know that Tebow is a rare and confounding specimen - a player who can make some throws, but more importantly, change direction like a running back. We can make fun of his passing but Tebow’s downfield tosses weren’t so terrible in Denver that they can't be a threat at all (he made 9 of 18 in that San Diego game). The promise of a threat is all Belichick needs for this signing to be a success in the end. The prospect of Tebow breaking a single play is certainly worth the risk. The coach recently told reporters, "we'll see," of what he plans for Tebow. And yet, in Tebow, he surely realizes the potential to weave a number of tricks. It might take time, maybe even a season. However, given Belichick's propensity to use players out of position, as he did once so effectively playing linebacker Mike Vrabel as a tight end, Tebow has great prospects on this very clever football team. Let's remember, Tebow is not just a run-of-the-mill back NFL defenses are accustomed to preparing for. He's simply not like those boasting power only, or just quickness, or even agility. Rather, he is a man with an array of skills, the way old-style footballers like Jim Thorpe of the Canton Bulldogs had almost 100 years ago. Heck, strap the headgear on him, they might even look alike. Regardless of what's to come in New England, many pundits will discuss Tebow's signing as if there’s a grand Belichickian subtext. But there no real agenda when it comes to Tebow, not beyond getting the ball across the goal line.